Apple on Thursday said it sold 77.3 million iPhones during its fiscal Q1 2018 quarter, the most recent holiday quarter that ended in December. Earnings for the quarter checked in at $88.3 billion, or $3.89 per diluted share. That’s up 13 percent and 16 percent year-over-year, respectively, and both figures are all-time records for Apple. As for the 77.3 million iPhones sold, the figure comes in a bit under analysts’ projections. According to Bloomberg, Wall Street was expecting Apple to move 80.2 million units during the quarter. In the year-ago quarter, Apple managed to sell 78.3 million iPhones. iPad sales improved slightly compared to the year-ago quarter, up from 13.08 million units sold to 13.17 million. Mac sales, however, slipped from 5.38 million to 5.11 million. Apple CEO Time Cook said they are thrilled to report the biggest quarter in Apple’s history, with broad-based growth that included the highest revenue ever from a new iPhone lineup. iPhone X surpassed their expectations, he said, adding that it has been Apple’s top-selling iPhone every week since it shipped in November. 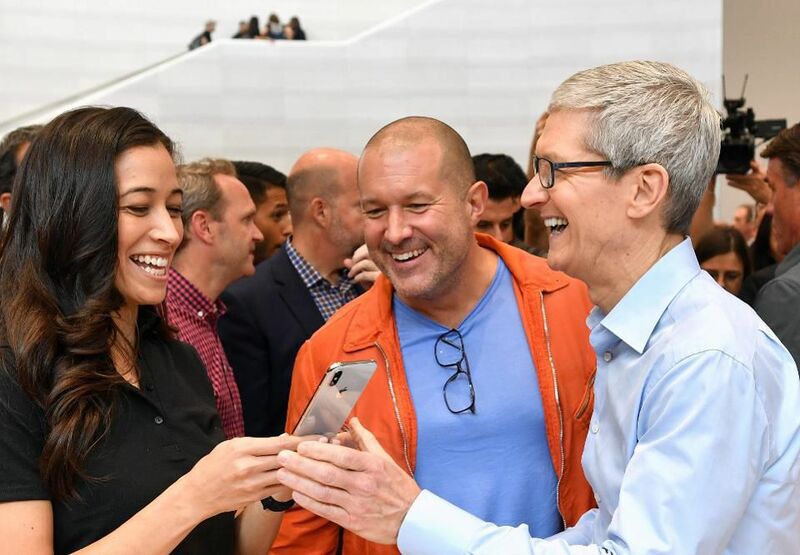 Unfortunately for onlookers, Apple didn’t provide a breakdown of individual iPhone model sales, making it tough to determine just how well the flagship handset is selling. Apple is forecasting revenue between $60 billion and $62 billion for the upcoming quarter with a gross margin between 38 percent and 38.5 percent.